Due to a change in the visiting hockey team’s practice time, Learn to Skate will be held from 8:30-9:50 a.m. this Saturday, January 17. For more information about the Learn to Skate program, visit Learn to Skate. The Michigan Tech Dance Team will be hosting a youth clinic Sunday, January 25, from 3:00-6:00pm in the SDC Studio for boys and girls, Pre-K through 8th grade. Participants will warm-up, stretch, and learn across the floor routines as well as an entire dance routine to be performed at halftime of the Michigan Tech Women’s Basketball Game against Lake Superior State on Saturday, January 31! Dancers of all skill levels are welcome. Cost to participate is $25/child, $20/sibling (covers clinic & game performance; parents must purchase admission to game). Registration is at the SDC Ticket Office or by calling 487-2073. 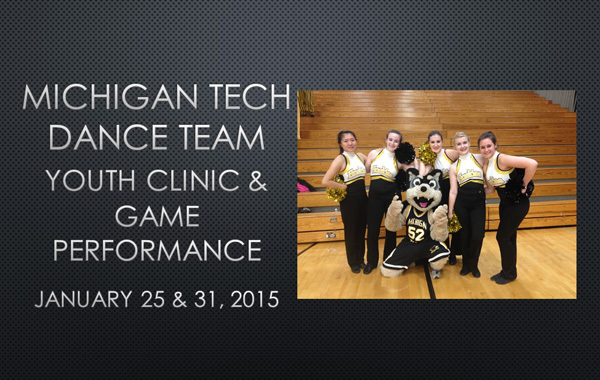 For more information, visit Michigan Tech Dance Team Youth Clinic or contact Ariana Johnson at arianaj@mtu.edu. New to Community Programs? Want to change up your workout? A wide variety of fitness programming is available at Michigan Tech’s SDC. Try out a class for only $2 during Dollar Days, January 12-17. Just pay the instructor at the door! For more information and class schedules visit www.michigantechrecreation.com. 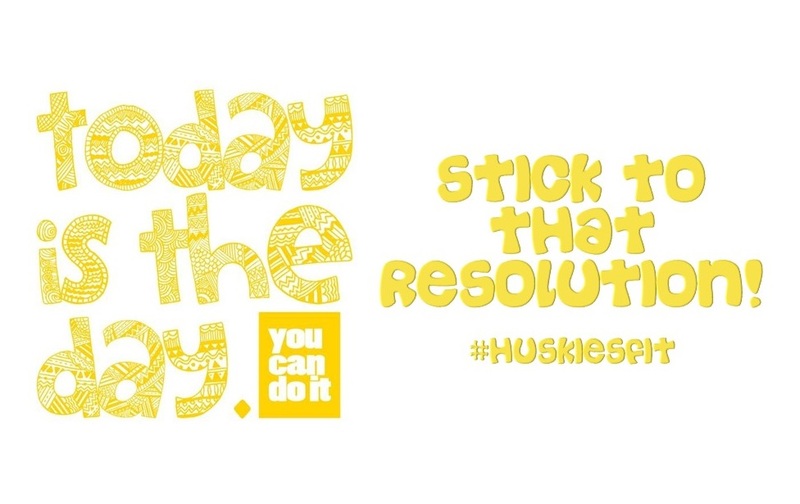 Enrollment is rolling and walk-ins are welcome.Commit to be HuskiesFit in 2015 with Community Programs! The Michigan Tech Spring Figure Skating Camp will be held Friday, March 27-Sunday, March 29. Guest Coaching Staff includes Joel McKeever, Igor Yaroshenko, Marcie Kieperic, and Peter Biver. Local Coaching Staff includes Elena Rodrigues, Jennifer Bukovich, Sherry Karnosky, and Jessica Comfort. A test session will be hosted by the Copper Country Skating Academy on Sunday, March 29. For more information or to register, visit 2015 Spring Figure Skating Camp. Register now for Youth Community Programs! Youth classes will begin soon for Skating, Hockey, Swimming, Dance and Aikido. Register now and take advantage of available savings options such as SDC member discounts, the Michigan Tech Employees Federal Credit Union member discount for swimming and skating, and TechFit. Fast & Female is Proud to Present a morning of Athletic Inspiration and Fun Hosted by National Ski Stars for Girls 9-19! Register by 5pm on Wednesday January 7th to be guaranteed a space at the event and receive a Fast and Female buff compliments of LL Bean and Podiumwear. Join Caitlin Gregg, Jenny Bender, Anne Hart, the Michigan Tech women’s ski team and some of the best skiers in the US for a morning of fun! Learn from these Nordic ski stars through ski games, goal setting presentations, and inspirational stories. You’ll have a chance to hang out with your heroes, meet other girls interested in sports, and learn about life as a professional athlete! In addition, there will be a special event for parents. Join a round table discussion of nutrition, physiological and social issues specific to long term development of female athletes. SCHEDULE: Activities will include goal setting, Inspirational Stories, Ambassador Q&A, and ski stations! WHAT TO BRING: Participants should wear comfortable indoor clothes for the first presentations, bring ski gear (and skis) for outside time, and a water bottle. If you don’t have skis, please email Abby (aweissman@fastandfemale.com) so we can help you find some! Fast and Female is a non-profit organization dedicated to the empowerment through sport of young women ages 9 to 19. By partnering with female Olympians, we offer inspiring programming all over North-America. Through our non-competitive and fun initiatives, we strive to retain girls in the competitive sports of cross-country skiing, biathlon and complementary summer endurance sports. In the long-term, we hope to be involved in all Olympic sports. Fast and Female is based in Canmore, Alberta and was founded in 2005 by olympic gold medalist in cross-country skiing – Chandra Crawford. Michigan Tech will be operating a shuttle service today from the wax building to the Michigan Tech Student Development Complex for skiers who need a warm place in between races. The first shuttle will leave the trailhead at 9:30 am. The shuttle will then leave the SDC at 9:45 am to return to the trail. That schedule will repeat until 3:30. So, shuttle leaves trailhead on the half hour and hour, then leaves the SDC at 15 past and 45 past the hour. Tuesday, January 6, 2015 Classic sprint races schedule. Start the New Year off Right with Community Programs! Now that 2015 is under way, let Community Programs help you stick to that resolution of a healthier happier you! A wide variety of fitness programming is available to help you get there! For more information, visit Community Programs. Public skating at the SDC on Sunday, January 11, 2015 has been cancelled. Public skating will resume on Sunday, January 18 from 7:30 p.m. to 8:50 p.m.